It’s always interesting to us that when you look at some of the biggest young adult fiction series marketed to teens in the world today, the majority of them may not actually be written by young adults or teens. The Hunger Games was written by Suzanne Collins who is 53. The Divergent books are written by Veronica Roth who is 26 (OK so that’s not too bad at at least). And of course the Harry Potter series which was written by J.K Rowling, who is 50. We’re not saying these women shouldn’t write novels for teens, because let’s be honest, who hasn’t read the aforementioned novels and seen all the movies and become obsessed! We’re just saying it would be nice to see a popular fiction novel series with a distinct teen perspective. Well our wishes have been granted. 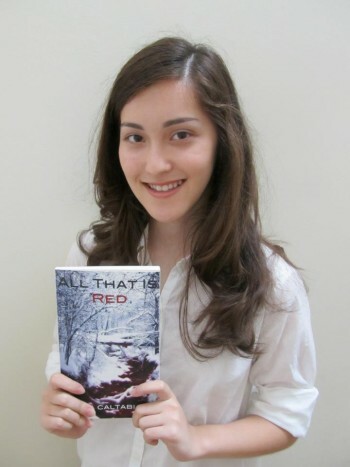 Teen author Anna Caltabiano is 18, and has released two novels through Hachette Publishing, the latest of which is The Seventh Miss Hatfield. The story follows Cynthia, a young girl who isn’t happy with her life. So when her mysterious neighbor Miss Hatfield asked her in for a chat and a drink, Cynthia said yes. Miss Hatfield is immortal, and now, thanks to a drop of water from the Fountain of Youth, Cynthia is as well. She finds out this gift is more of a curse and comes with a price. Cynthia must travel back in time to turn-of-the-century New York and steal a painting, a picture which might provide a clue to the whereabouts of the source of immortality. The fictional setting of an adolescent dystopia is Anna’s signature style, where she likes to explore this world by eroding accepted traditions, cultures and communities, through the voice of a lost generation consumed by social apathy and self-loathing finding its only solace through electronic connections. Basically, teens today! Anna herself has a very interesting story of how she became a published author, and it started at the age of 14. She started writing as a result of a bet made with her dad in order to avoid going to summer camp one year. 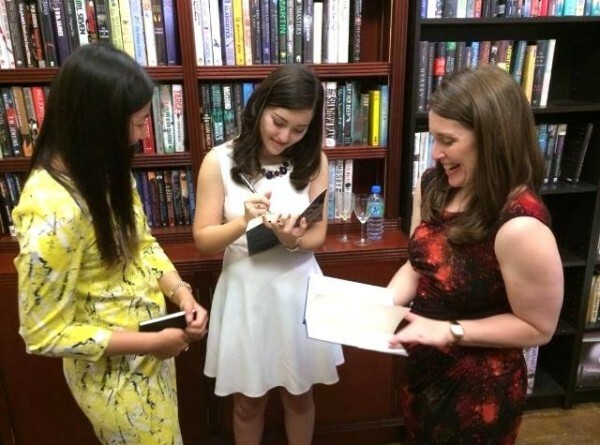 Well, she never stopped writing, and four years later has landed herself a 3-book publishing deal with Hachette Publishing. She was born in British colonial Hong Kong to a Japanese mother and an Italian-American father, before moving to Palo Alto, California, which most of know is the mecca of technology today. We have no doubt this has inspired some of her work. Since releasing her two novels she has been getting some pretty major press globally, something not every teen girl experiences. Through this Anna has been able to share glimpses into her journey as a teen author and the passion behind her writing. She told BBC Radio World Service that although she started writing at age 14, she was rejected by more than 200 publishers, which certainly puts her perseverance into perspective. “I stopped counting after 280! It was a little [discouraging] but it didn’t phase me much. I think when you are rejected in anything you have to keep remembering why you’re doing what you’re doing. For me it was that I wanted to write because I had a story and I believed in the story,” she said in the interview. Some of the rejection letters she received told her to come back to them after she had graduated high school or university, which Anna said she expected. 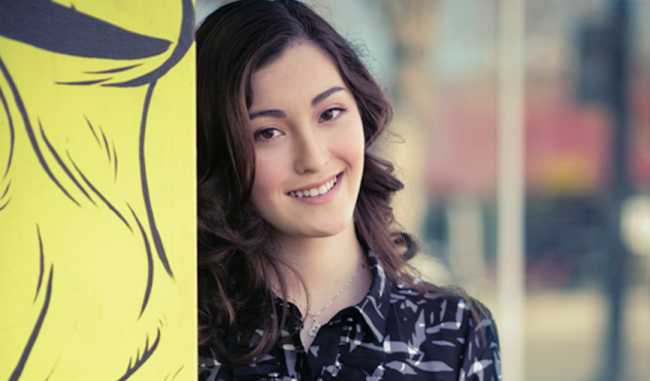 It goes back to our original point of many YA novels not being written by teens or young adults and so when a genius like Anna Caltabiano comes along, it can be hard to cut through those social expectations, an issue she writes about in her books. Anna has also been writing for the Huffington Post since 2013 and shares insightful, intelligent and to-the-point short essays on issues that the younger generation can relate to. In a post titled “Why I write” Anna shares ho writing gives her a sense of freedom. “All writing is a reflection of the real world. I see writing as the simplest and most complicated thing I’ve ever done. On one hand, you spend months at a desk, clicking and clacking at your keyboard. On the other hand, you create worlds and people, giving the reader a mirror to reflect his world…It’s the feeling that I get when my characters become real people in my mind, or the feeling that I’m creating something for someone else to have and hold in their hands,” she said. She has also shared her thoughts on the FOMO epidemic which is exacerbated by social media, and how social media itself has created a generation of loneliness, despite the increased amount of connectivity. “Writing is something that I love doing as its a way for me to explore my thoughts and ideas. I find writing to be cathartic and I feel I can work through anything by writing about it,” Anna said in an interview with SJ Teen Magazine. 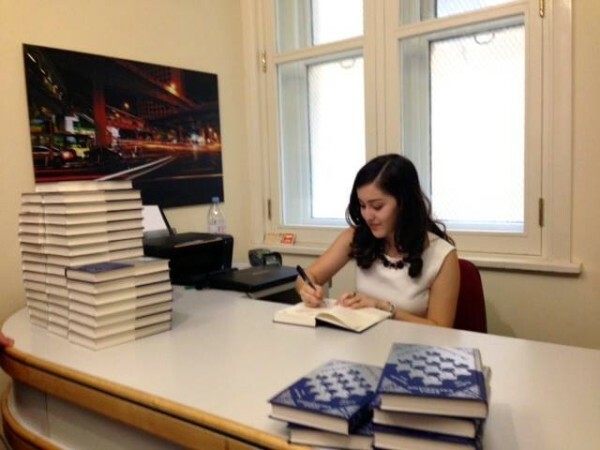 She plans on continuing to write for the rest of her life, and if her success so far is anything to go by, there are plenty of exciting things to come from Anna Caltabiano. For teens out there who want to follow in her footsteps, Anna has two bits of advice which she says are the key to getting it right. “To write a good book I think all you really need is a story and a need to tell that story. Once you have those two things everything else seems to fall into place. If you have a strong desire to tell a story, you tell it well,” she said. 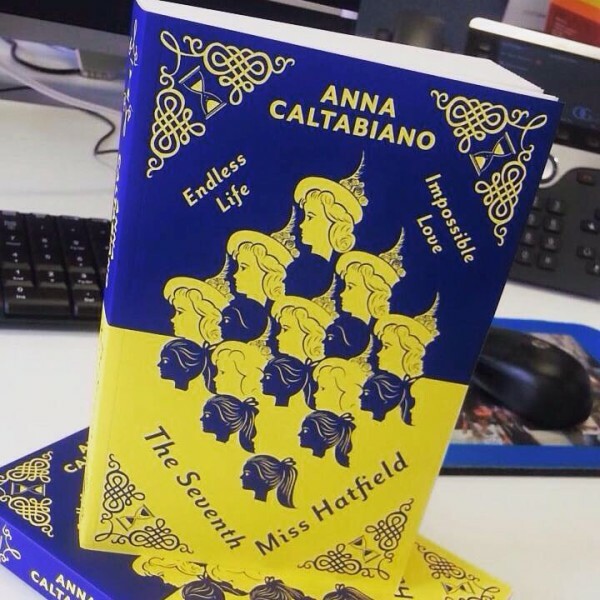 You can buy The Seventh Miss Hatfield on Amazon right now, and be sure to follow Anna on Twitter, Facebook (she has over 130,000 followers across both platforms, NBD!) and her website. There are many men and women who get branded the title “the voice of a generation”, but with a field void of many competitors and those willing to go where she has gone, Anna is undoubtedly a voice for a generation of teens looking to escape the confines, stereotypes and boundaries placed upon them by the world. She has proved it in her success at getting a publishing deal, and she writes about it in the pages of her novels.